Need Tooth Repair & Replacement? 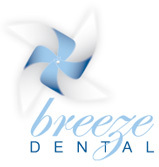 The experienced and professional team at Breeze Dental are experienced in restoring damaged teeth. Through our commitment to preventive dental care, we can ensure your teeth stay healthy for life. Ideally, we want all of our patients to keep their natural teeth for life. However, if you have lost a tooth, we may recommend either a denture or implants.